Blumhouse’s The Purge is premiering on both NBC-owned, Syfy and USA networks on September 3rd. 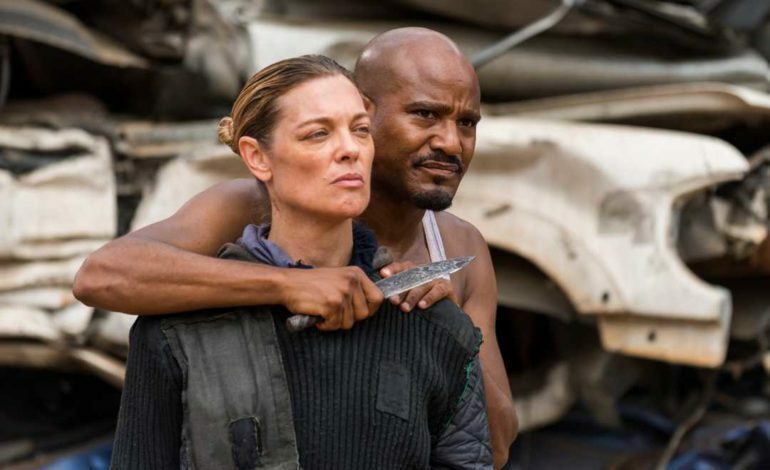 Gennarino who is best known for her role as Tamiel in the classic zombie series on AMC, The Walking Dead, will be part of the drama this fall. She is also known for work on projects like Claws, The Sopranos and The Monkey’s Paw. In The Purge, Gennarino will play the character of Madelyn, in conjunction with a cast comprised of actors that include Gabriel Chavarria, Lili Simmons, Lee Tergesen, Jessica Garza and Amanda Warren. The premise in the small screen version of The Purge is the same as the films. It is set in a version of America not dissimilar from our own except for the fact that it is under the control of a totalitarian regime. The people of this society must deal with the fact that every year there is a 12 hour period where the restraints and laws that usually bind a society cease to exist and nothing, including murder, is illegal. The Purge, a by-product of the hugely successful horror film series, which was revealed in April is the work of ITV-backed Blumhouse and creator James DeMonaco. The original team from the films will also be present including executive producers: Michael Bay, Brad Fuller and Andrew Form. Thomas Kelly will serve as the showrunner. The Hollywood Reporter was the first to report this news.